What kind of panel setup would I need for this? I would be using one of these units http://justaddcleanwater.com/best-reverse-osmosis-system/ I live largely off the grid, so I don't have much other electricity expenditure. Just the reverse osmosis system. I don't want to choose between pure water and self-sufficiency... Thanks! No power needed unless you have a well. 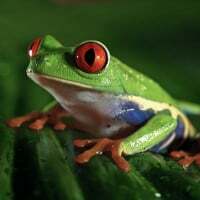 I use a slow sand filter for my drinking water, which is sourced from the pond. I have a roughing filter ahead of it, and had to harrow the sand last year. I also use filters, which works fine on my already pretty good lake water. 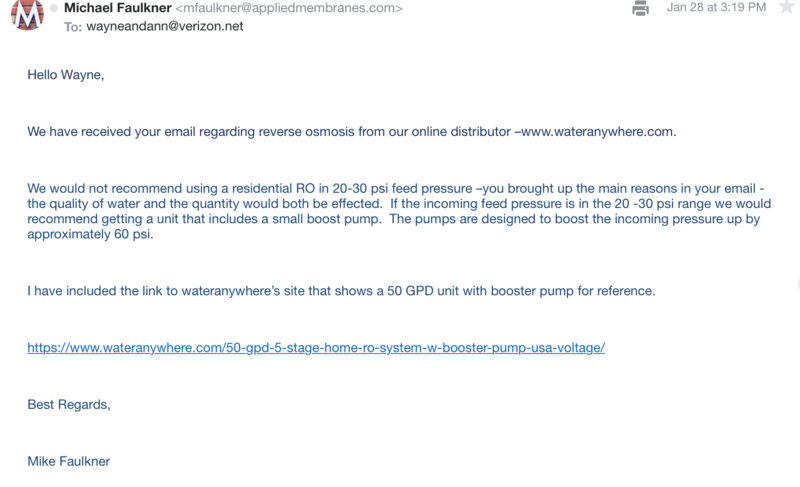 From what I know of RO systems they need fairly high pressure water (>50psi or so) and have a fair bit of wastewater discharge which may not work well for off grid water systems. I don't know if the units you linked to take any power at all (UV post-treatment?). This is all true. I've sold and installed many R/O systems. Mechanical....such as sand or other common filters found at the hardware store. Find out what issues your water may, or may not, have. The vast majority of flavor, and most toxicity, issues can be solved with a simple carbon filter. Carbon is just coal that has been expanded via heat or phosphoric acid. The problem with phosphoric acid is that it adds phosphates to the water. People do weird things....then sell them to an unsuspecting public. It is easy to get basic measurements such as pH and TDS (total dissolved solids). Tasting it tells you a lot. Cooling it first always makes it tastes much better. A high pH, such as 8.2, is just fine. A low pH, below 7.0, really needs to be studied for the cause. Could be a septic system that is too close. Could be acid rain. Could be decomposition of decaying flora and fauna and a shallow water base. Florida has plenty of this....causes yellowish water. Maybe measurable phosphates and nitrates....not at all desirable. A lot of well water has too much iron in it. I forget how to deal with that... Mostly just stains clothes when laundering....from what I have seen. They have largely went to PVC well pipes because iron well pipes kind of rust out while adding iron. Filters need periodic replacement or maintenance. You can likely search the net and find info about ground water in your area. You should still get your own water tested to be safe. I always err towards safe......hehe. If your water has iron in it it will destroy the RO membrane. One way I know of to combat iron is a water softener. But of course that takes electricity. The cheapest place I have found for RO units is bulk reef supply. If your iron count is low enough and you can get an RO unit, Aquatec makes 12 and 24 volt pumps to bump up the pressure to 50 and up pressure. 70 psi is usually good. For a standard system with a 3 gallon tank with a pump to boost the pressure takes about 1 1/2 to 2 hours. There's also a non electric pump I have no experience with but is seems to work based on the reviews. It's called a permeate pump. Which ever one you choose electric or non electric it must be sized to the RO membrane output. Morning star TS-60 PWM (With display, RTS), 2 DEKA G31 flooded batteries (210 AH), Aims 1200 watt Pure sine inverter, 2 100 watt panels, Bogart Engineering 2030 RV trimetric meter. A permeate pump works well if you already have a source of high water pressure. If not, use the pump. Perhaps with a timer so that it only runs during sun hours. You can use RO with hard water, but you will have to replace the membrane more often. If you want simple - consider a ZeroWater pitcher. Or collecting rainwater for drinking. I suppose one could run a timer, but it doesn't work that way with the automatic shut off valve. If someone uses water at night, it will trip the auto shut off valve and the system will attempt to fill with regular incoming pressure. I suppose the system could be rigged so it doesn't do that, but I would think there should be at least 20 pounds of pressure in the system at all times (Just my opinion). With a check valve on the RO output side (to prevent reverse flow, I think all systems have one), why worry about periods of low pressure on the input side? > With a check valve on the RO output side (to prevent reverse flow), why worry about periods of low pressure on the input side? Do you mean at night? If the system was rigged to not run at all but just give water? If that's what you're asking about I have nothing to back that up, it's just my opinion and wouldn't want to do that personally on my own system. Last I checked R/O membranes need at least ~ 45 psi to work. City water often exceeds that. Well water may not - it depends. Plus my memories are getting rusty of knowledge gleaned in the 90's. I'd try carbon first. Carbon can do amazing things for cheap including removing the vast majority of toxicity and disagreeable tastes. R/O removes most minerals such as calcium, soldium and magnesium etc - elements that usually boost pH and always boost the TDS (total dissolved solids) count. You can just let a glass of water evaporate and look at the residue - those are your solids - many, perhaps most, beneficial. R/O booster pumps often operate around 120 psi - pretty ideal levels. FWIW - R/O systems for saltwater operate closer to 1000 psi and often use a 220 volt pump. R/O systems for brackish water may be effective around 400-600psi - depends on salt density. Brackish is a very large range indeed. Having said all that, I do drink R/O water when in the city. Though it was installed for making quality saltwater. Be sure to use the right membrane for your water. TFC and CTA were the principal types -years ago. Mixed them up on an internet post once. Oof. My info is old. Things may have changed. I installed plenty of R/O units in the 90's. Enough time for memories to be rusty. Seems that R/O is one of a couple ways to get most of the fluoride out. There is that. Fluoride is used as rodent poison in many parts of the world. Was in the US until we decided to add it to our water - a pretty controversial practice. It's been good, except now iron & iron bacteria are getting into the system and plugging the slow sand filter up. I have used R/O filtration with low pressure 20-40 psi for about 20 yrs. Water source is underground spring into a 750 gal reservoir and pump from there to the house. The low pressure does not seem to be a problem now that I use a 150 gal/day membrane and permeate pump. (permeate pump does not require any electrical input) When I used a 25 g/d and no permeate pump it did not supply enough. I also use two RO pressure tanks as occasionally I need to fill a 5 gal container, works great. I find the clear pre filter housings are helpful in determining if its time to change pre filters. If water usage or pump run time is a problem the waste/flush water orifice can be changed to reduce the amount of waste but will have to be enough to flush the membrane. I have not tried this as I am grid tied with battery back up and the extra pump usage is not a problem If I were off grid I would probably try the adjustable waste /flush valve I see in RO parts. Lower pressure may seem to work alright until you check for actual reduction in minerals via a TDS meter. The water may taste great due to carbon filtration in the pre-filters. Why I recommend carbon first - most people want great tasting water. I think maybe CTA membranes didn't need as much pressure though - been a long time. A little off topic, but have you considered a manufactured gravity filter? My wife and I have been using a Big Berkey for the past 18 years, primarily to remove chlorine and fluoride from our city tap water. Works well for us, but do your own research. The advantage for the OP is that it doesn't require any power at all. But, he may have a situation that does require RO water, so I'll just leave this as a possible suggestion. 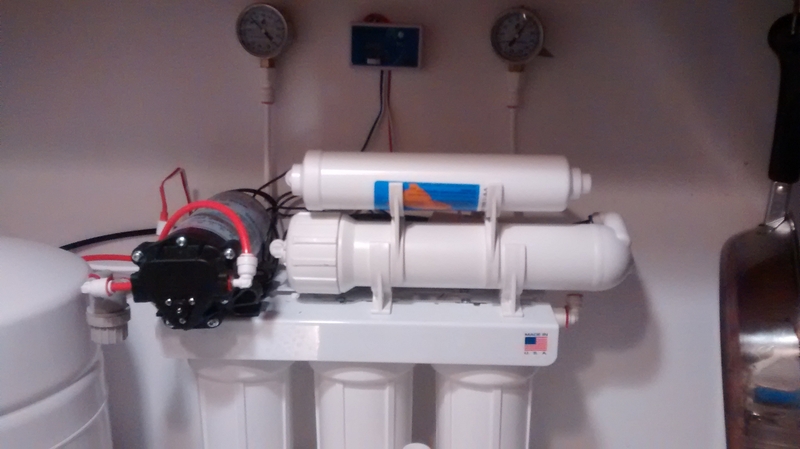 I have a permeate pump on my RO system and it helps a lot. Softdown Thanks for the information you provided. I have removed my post concerting low pressure RO as my information turned out to be questionable/incorrect. The site which I obtained the information from stated in their question answer section that pressure required to get a flow was relevant to tds input. I must have misinterpreted. When I contacted the same company they recommend just as you stated in post 12 & 23. My pump pressure varies from 30-65 ( time for pressure switch attention ) with 150' run and aprox 18' rise, I use the hydraulic permeate pump which may barley bring the pressure up enough as my tds readings fluctuate a bit, last week tds was 105, this week 65. I understand that a variation in pressure such as well pumps provide can cause a creep of the tds output. Now I think I need to check my tds meter. What would be good to verify the meter with. Distilled water?. Distilled water should read "0" zero TDS (infinite resistance?)... The meters basically are just fancy Ohm meters... More salt/ions in the water (the disolved solids), the lower the resistance.